Golden Gavel’s owner, auctioneer, and appraiser, Patrick Soucy, started selling antiques and household items at age 13. He opened his first antique business at age 18. 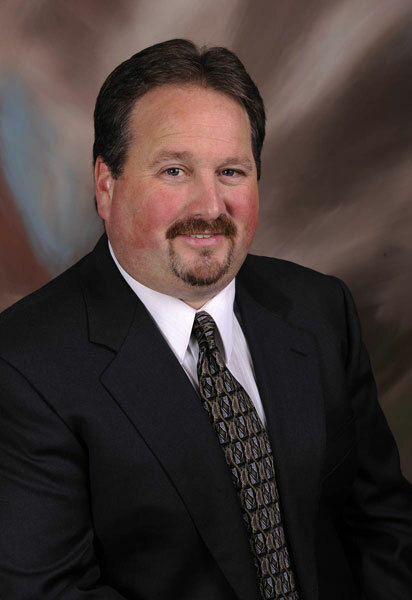 Patrick is a graduate of the Mendenhall School of Auctioneering, a member of the National Auctioneers Association and a member of the Certified Appraisers Guild of America. 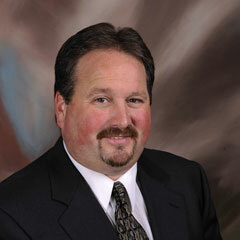 Patrick is also a USPAP certified appraiser. 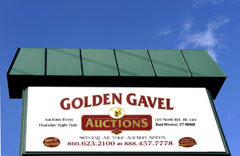 In 2004, Golden Gavel Auctions bought and renovated a former East Windsor, Connecticut supermarket into the modern auction house it is today. With parking for 280 cars, the 18,000 square foot auction house easily displays thousands of items and seats 350+ auction enthusiasts. 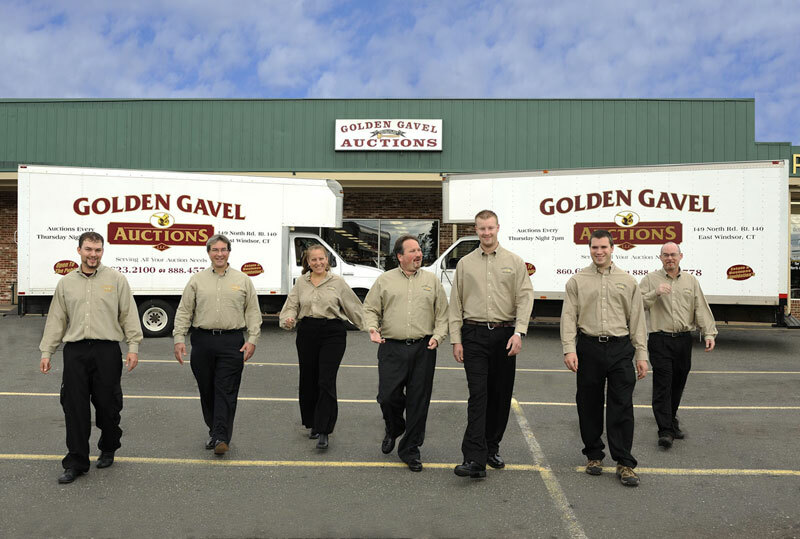 Golden Gavel holds 70 auctions a year, turning tens of thousands of items into money for their clients. 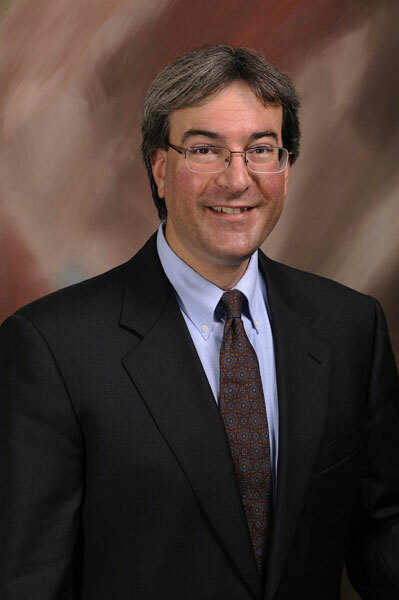 Golden Gavel’s auctioneer and appraiser, Ralph Labozzo, holds a Master of Business Administration degree from the University of Connecticut. Ralph’s been in the business for 20+ years. He is a graduate of Missouri Auction School and earned certification in American Arts through a graduate-level program at New York’s famous Sotheby’s Institute of Art. 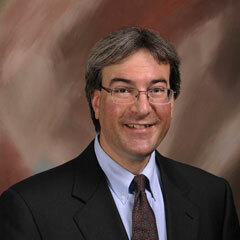 Like Patrick, Ralph is a USPAP certified appraiser. We work with you through the entire sales process – from listening to your needs; to appraisal; to auction; to clearing out an entire home. Golden Gavel will develop a plan with you to assure your needs are met and that you receive as much value as possible for every item. In Connecticut, auction houses are not required to be licensed, bonded and insured but Golden Gavel is. Being licensed, bonded and insured gives our clients an extra layer of protection and it allows us to do business in surrounding states that require this level of professionalism. Golden Gavel provides full customer service. 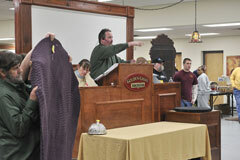 We hold auctions every week at 7 p.m. on Thursday -- not every month like most competitors do. Your items go to auction quickly and you get paid faster than you would elsewhere. 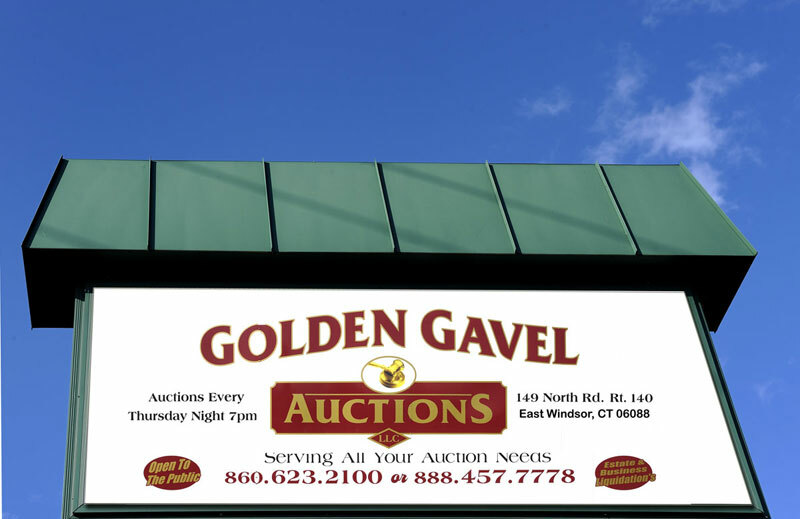 With 30 years of experience, a professional staff and frequent auction promotions, Golden Gavel Auctions stays at the top of the list for thousands of collectors, dealers, e-bay entrepreneurs and retail buyers. Drop off written bids on auction day during preview after 2 p.m.
Collectors and dealers know a good auction house when they see one. They keep coming back to Golden Gavel Auctions. Half the average weekly crowd of 350+ attend regularly. We welcome and encourage the public to attend. You can see everything from every seat in the air conditioned, climate-controlled, well-lit auction gallery. Every seat provides a full view of every item being auctioned. Golden Gavel’s multiple, ceiling-mounted 19” color TV monitors provide everyone with a front row view. Golden Gavel offers three large box trucks and a full-time staff for packing, moving and broom cleaning of entire households, estates and foreclosures. We've helped many clients with homes for sale downsize. 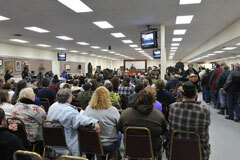 Property auctions are an efficient way to downsize. We are specialists at it. We cater to every customer’s needs. Golden Gavel Auctions gives back to the community through 10-14 charity sales every year. We believe in donating our time, talent and treasures to worthy causes. If you would like to donate items to one of our charities, call us today to arrange drop-off or pickup of your saleable items. Call 860.623.2100 or toll free at 888.457.7778. 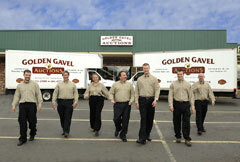 Golden Gavel Auctions LLC is an Affirmative Action/Equal Opportunity Employer.